Never mind the Drone what about the Image Control. Control of the drone is nothing without control of your image. 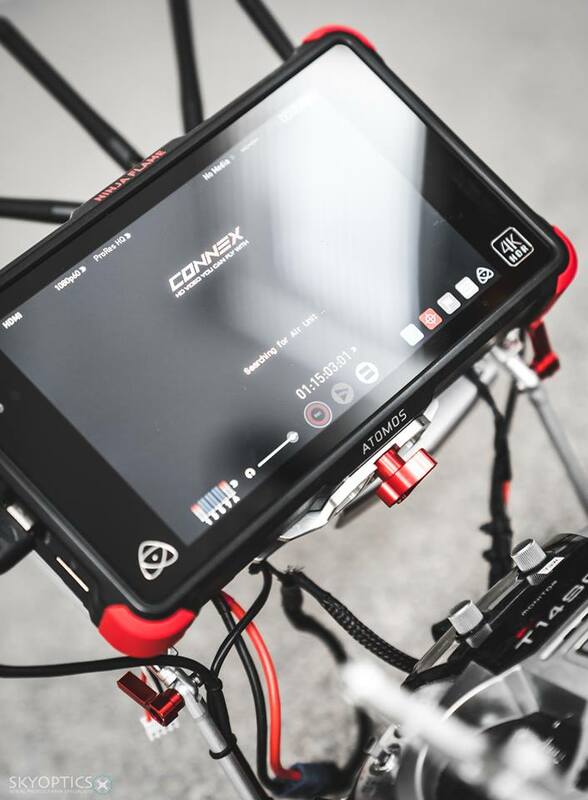 We use Atomos monitoring with Connex HD downlink for complete confidence in what we capture in the air. This system provides a robust and reliable high quality digital video downlink from the aircraft to the ground control for aerial photography and videography. Both pilot and camera op have simultaneous downlinks to monitor the camera view. Also with the ability to overlay LUTS to monitor the LOG footage as if graded if required, in realtime.